Last year, we asked you to celebrate your part in the Baltimore Region ‘Orchestra’ with “One Band, One Sound”. 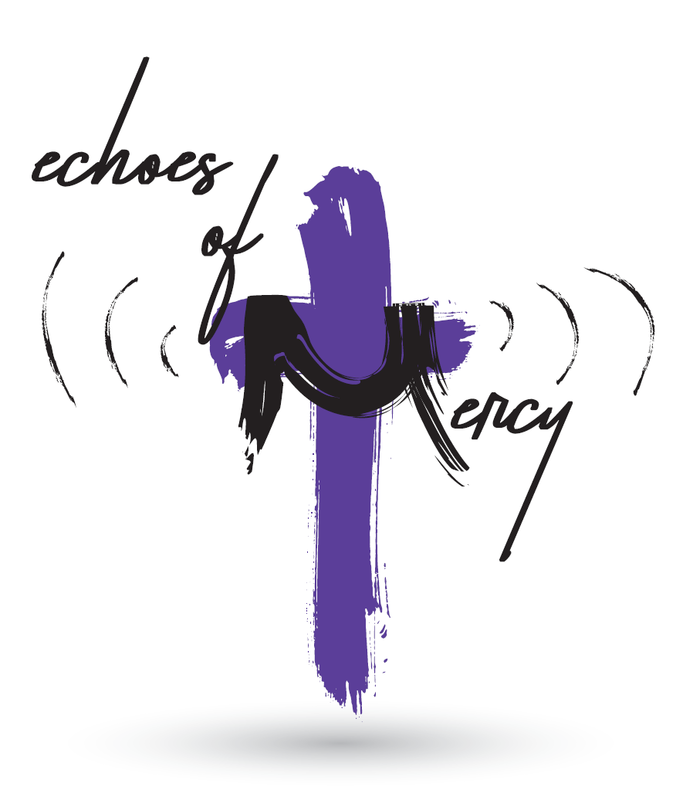 This year join us on April 6, 2019 at Towson United Methodist Church to see how the “Echoes of Mercy” spread throughout our communities. We are proud to present Dr. Douglas Walker, Pastor at Temple UMC in Tampa Florida and Director of the Center for Church and Community at the Tampa Bay Center for Community Transformation, who will bring to us his extensive experience in trauma-informed ministry with a plenary and workshops to help guide us through the difficult passages ahead. Pre-registration required; no on-site registration. Contact your District Administrator for assistance with registration. While at times life, as we know it, may seem uncertain, never forget that there is absolutely nothing uncertain about God’s love for us. May this Lenten season be a reminder of God’s never-ending love for all of us as well as a season of renewal for your mind and spirit. We pray for a fresh anointing in your continued efforts to live L.I.F.E. to its fullest. 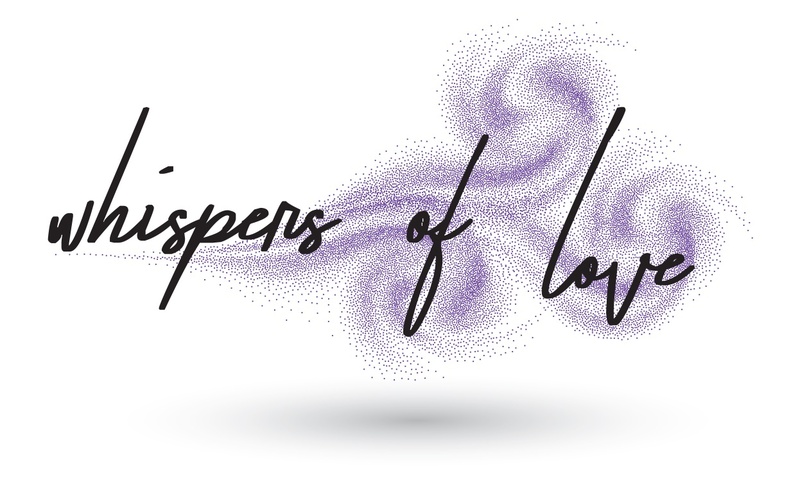 This Lenten season and beyond, may the love and peace of Christ be in you and may it be contagious and infect those in, around, and outside of your communities. We kindly ask that you complete the Host Church Survey. The survey will allow for increased efficiency in the planning of events and meetings in the district. Click the following link to complete the Host Church Survey: https://docs.google.com/forms/d/e/1FAIpQLSclfV9gq6teG2g6dx8hA47NmH0BqVVOB0JdT1nXIcpQm2QCMA/viewform?usp=sf_link We kindly ask that the survey is completed by March 30th. Lay Servant Academy (formerly known as School of Christian Growth) is in full swing. If you are interested in becoming certified, the initial basic course is offered on March 23rd at Epworth Chapel UMC and again on March 23rd at MD Line UMC. Courses are also offered for those needing to take a course to maintain their certification. Please be reminded that you must renew your certification every three years. For more information, click https://drive.google.com/open?id=1sPZFQ80uvueSwoYIUqyqfLCSVrqlgZbh. Registration is required. To register online, click https://arenaweb.bwcumc.org/default.aspx?page=3439&eventID=4132. March 7th: BWC Scholarship Application Submission Deadline: The scholarships are open to qualified students currently attending college, as well as high school seniors who plan to attend college in the fall of 2019. A variety of scholarships are offered to fit the diverse needs of our students. To be considered for a scholarship, students must complete the full online application which includes uploading their current transcripts. Additionally, the student must provide contact information for their pastor and one additional church reference. The pastor and reference will be contacted and asked to submit information on the student’s participation in the local church. The entire process will be done online for ease of the student, pastor, and reference. For details about the individual scholarships or to apply for a scholarship, please visit http://www.bwcumc.org/administration/local-church-resources/scholarships/. March 9th: Town Hall Meeting on the Opioid Crisis at Harmony UMC, Falling Waters. March 13th: District Clergy Gathering; CANCELLED. Due to the vast number of events and trainings being offered, the March gathering is cancelled. Stay tuned for when the next gathering will take place. March 16th: Outward Mindset Training Workshop 8:30 am- 1:30 pm at Loch Raven UMC. After the training session on December 13th of last year, we received several requests for us to extend another invitation to Rev. Brian Brown to offer a more in-depth session. In this half-day training, on developing and implementing an outward mindset, participants will rediscover the following: (1) Why mindset matters; (2) Two basic mindsets; (3) How we turn inward; (4) How to turn outward; and (5) Practical applications for keeping a heart at peace. There is no cost to attend. However, registration is required so we can prepare for your participation. You can register by clicking the following link: https://arenaweb.bwcumc.org/default.aspx?page=3439&eventID=4174 . (An Arena is not needed to register for the event.) Please contact the district office at 410-309-3447 or if you experience any issues with registration. There is no cost to attend. However, registration is required so we can prepare for your participation. There is still time to register if you are interested. Registration will close on Wednesday, March 13th. We ask that you encourage your laity to attend as this session will be open to all clergy and laity. March 22th - 24th: Youth Leader Retreat and Training; The BWC will host a weekend of training and renewal for youth leaders Mar 22-24, 2019 at Wesley Freedom UMC in Eldersburg, MD. Whether you are new to youth ministry or a seasoned veteran, there will be training and classes appropriate for any stage of your ministry and time for restoration and renewal. Registration and additional information are available at https://arenaweb.bwcumc.org/default.aspx?page=3439&eventID=4122. For questions, please contact Cheryl Cook. April 1st: United to Love Moral Courage Awards for Young Adults and Adults: Applications Open Now! The United to Love Moral Courage Awards celebrate people who put their faith into action especially when doing so is uncomfortable or unpopular for the sake of justice despite risk, comfort, and or societal silence. Do you know someone who does the right thing even when it is a difficult thing to do? Someone who advocates to improve the life of others? Are you that person? All persons who want to share their stories of moral courage are invited to apply. To apply, please go to https://www.bwcumc.org/moral-courage-awards/. Finalists will be invited to the United to Love Moral Courage Luncheon at Annual Conference and the Winner will receive the opportunity to become our Moral Courage Ambassador. April 1st-4th: The 2019 NEJ Mission Academy - “When Helping Helps”@ Rolling Ridge Retreat Center in North Andover, MA -- April 1 - 4, 2019. This year’s academy will focus on ministry initiatives that are responsible, sustainable, and asset-based. In addition to their collaboration with UMCOR to provide a disaster response track, NEJ Mission Academy organizers will also welcome Global Missionary Willie Berman-Ramirez, NEJ United Methodist Sarah Sandsted who is co-founder of Rebuild Globally, and mission theologian Rev. Taylor Walters Denyer. Registration is now open. Early bird rates are in effect until March 1st, 2019. April 6th: Baltimore Region Leadership Day: SAVE the DATE; more details along with registration are forthcoming. April 26th: First Annual SOS Domestic Violence/Intimate Partner Violence Prevention Gala at Turn House in Howard County at 7 pm, please go to https://www.eiseverywhere.com/ereg/index.php?eventid=386022&. There are limited tickets. So please purchase your tickets today! Please check out The Conference’s event page for more information and links to registrations for various conference events, as well as opportunities for service and resourcing your ministries. We wanted to put on your radar that it’s never too early to begin gathering the data for the church’s annual Fund Balance Report. This report entails an audit of the 2018 fiscal year from January 1st- December 31st. The report will be due in June. More details will be provided in the upcoming weeks. Kindly remind your Finance Team that they should begin work on this important task. An email will be sent in the upcoming weeks to provide more details on this yearly obligation. The Baltimore-Washington Conference of The United Methodist Church has a new CJAM website that has been created for congregations to become more aware and resourced in this vital area. You are invited to go to, http://www.bwcumc.org/ministries/advocacy-action/criminal-justice-and-mercy-ministries/ check out the resources and take the questionnaire so that we can better connect with you in this area. To go directly to the survey, please visit http://www.b wcumc.org/ministries/advocacy-action/criminal-justice-and-mercy-ministries-questionnaire/. All resolutions set to come before the 235th session of the Baltimore-Washington Conference are due to the Conference Secretary by April 1, 2019. The session will be held May 29-June 1, 2019. You must first consult with Mark Gorman, Chair of the Rules Committee, before submitting resolutions pertaining to Rules of the Session. For resolutions that have budget implications, you must first consult with Phil Potter, Chair of CFA before submitting the resolution. The CCYM Stress Less Project offers resources to help youth battle the many sources of stress in their lives. The project was created by youth for youth and include resources for both youth and youth workers. More information can be found at www.bwcumc.org/stressless. The Special Session of General Conference begins tomorrow, February 23rd and will end on February 26th. Please include the attached congregational prayer offered to us by the Council of Bishops as a part of your worship service this Sunday. In addition to this prayer, we ask that you continue to be in prayer daily from 2:23 pm- 2:26 pm. On Saturday, March 2nd from 9 am – 12 pm, Bishop Easterling has called the people of the BWC to gather at the Mission Center and via live streaming to pray and share information following the Special Session of the General Conference. We want to thank John Wesley UMC (Rev. Joan Carter-Rimbach), Grace UMC (Rev. Amy McCullough and Assoc. Pastor Dane Wood), and Epworth Chapel UMC (Rev. Tony Hunt) for graciously accepting the request to serve as the district’s live streaming host sites. More details can be found in the Upcoming Events section. February 28th: Homeless Workshops; The Baltimore County Faith Initiative Group is hosting a series of training and resource sharing sessions on the issue of the Homeless in Baltimore County. These sessions are aimed at creating stronger partnerships between local faith leaders, congregants, public & private sector resource providers, and the Baltimore County Police Department. Please see the attached flyer for more details. We encourage you to gather at one of the three live streaming sites, but you can also access the live streaming on your computer, laptop, or phone by clicking the following link: https://live.gntv.info/bwac/index.html. March 7th: BWC Legislative Advocacy and Action Day in Annapolis; 8:30 -3 pm: Join us in Annapolis for our Annual Legislative Advocacy and Action Day co-sponsored by the BWC Advocacy and Action Board and The United Methodist Women. Newbies and interested advocates, join us as we address aspects of: Health Care Reform, Criminal Justice Reform: From School to Prison Pipeline, and Immigration Reform. To register or for more information, please contact Judy Smith at . The cost for this event is $6. March 16th: Outward Mindset Training Workshop 8:30 am- 1:30 pm at Loch Raven UMC. After the training session on December 13th of last year, we received several requests for us to extend another invitation to Rev. Brian Brown to offer a more in-depth session. In this half-day training, on developing and implementing an outward mindset, participants will rediscover the following: (1) Why mindset matters; (2) Two basic mindsets; (3) How we turn inward; (4) How to turn outward; and (5) Practical applications for keeping a heart at peace. You can register by clicking the following link: https://tinyurl.com/owms2019. (An Arena is not needed to register for the event.) Please contact the district office at 410-309-3447 or if you experience any issues with registration. We ask that you encourage your laity to attend as this session will be open to all clergy and laity. Don’t forget to download the attached flyer to share with your congregation. April 26th: First Annual SOS Domestic Violence/Intimate Partner Violence Prevention Gala at Turn House in Howard County at 7 pm, please go to https://www.eiseverywhere.com/sosgolf19. There are limited tickets. So please purchase your tickets today! Baltimore Metro ROCKED it out this past weekend at the BWC’s annual ROCK Youth Retreat. We are grateful to you, your youth coordinators/directors, and your congregations for all that you all do to encourage young people in and around the district to seek God and/or grow in their relationship with Him. We pray that this past weekend was a transformative one for all who attended and we hope to see you there again next year! Additionally, if your church attended ROCK, we kindly ask that you share your photos to the district’s Facebook page or email them to the district office at for us to share on the district’s Facebook page. Please be reminded that the last day to register for the Bishop’s Lenten Day Apart, is February 18th. The registration link can be found in the Upcoming Events section of the email. We wanted to put on your radar that it’s never too early to begin gathering the data for the church’s annual Fund Balance Report. This report entails an audit of the 2018 fiscal year from January 1st- December 31st. The report will be due in June. More details will be provided in the upcoming weeks. Kindly remind your Finance Team that they should begin work on this important task. The Laity Fix is an inclusive approach to church growth. We will examine the challenges and opportunities within today’s faith communities for leaders. There are many questions that congregations face today, and leadership is just one of them. All leaders across faith communities can increase their personal leadership skills by identifying what they are and learning how to use them appropriately. We recognize that every congregation is different, every leader leads differently and recognizing this is critical. This workshop is designed to: Explore the value of the congregational analysis; Offer strategies for sustained leadership development; and Identify growth opportunities through mission and ministry initiatives. The world has changed! What do we do now? Click here to register. February 21st and February 28th: Homeless Workshops; The Baltimore County Faith Initiative Group is hosting a series of training and resource sharing sessions on the issue of the Homeless in Baltimore County. These sessions are aimed at creating stronger partnerships between local faith leaders, congregants, public & private sector resource providers, and the Baltimore County Police Department. Click here to download the flyer for more details. March 2nd: United to Love: A Way Forward; 9 am – 12 pm The Conference Mission Center’s Live Streaming of Prayer and Information Sharing following the Special Session of General Conference. Grace UMC, John Wesley UMC, and Epworth Chapel have offered to serve as host sites; details are forthcoming. March 7th: BWC Scholarship Application Submission Deadline: The scholarships are open to qualified students currently attending college, as well as high school seniors who plan to attend college in the fall of 2019. A variety of scholarships are offered to fit the diverse needs of our students. To be considered for a scholarship, students must complete the full online application which includes uploading their current transcripts. Additionally, the student must provide contact information for their pastor and one additional church reference. The pastor and reference will be contacted and asked to submit information on the student’s participation in the local church. The entire process will be done online for ease of the student, pastor, and reference. For details about the individual scholarships or to apply for a scholarship, please visit http://www.bwcumc.org/administration/local-church-resources/scholarships/. March 16th: Outward Mindset Training Workshop 8:30 am- 1:30 pm at Loch Raven UMC. After the training session on December 13th of last year, we received several requests for us to extend another invitation to Rev. Brian Brown to offer a more in-depth session. In this half-day training, on developing and implementing an outward mindset, participants will rediscover the following: (1) Why mindset matters; (2) Two basic mindsets; (3) How we turn inward; (4) How to turn outward; and (5) Practical applications for keeping a heart at peace. You can register by clicking the following link: https://tinyurl.com/owms2019. (An Arena is not needed to register for the event.) Please contact the district office at 410-309-3447 or if you experience any issues with registration. We ask that you encourage your laity to attend as this session will be open to all clergy and laity. Click here to download the attached flyer to share with your congregation. April 22nd: First Annual Seeds of Security (SOS) Golf Tournament at Hobbit’s Glen in Howard Co., 12 – 5 pm; Join us for our first Baltimore-Washington Conference sponsored golf tournament to raise awareness of Domestic Violence/Intimate Partner Violence ,offer greater resources, create deeper partnerships, and develop and partner with safer havens. For ticket pricing and to register yourself or a team of four, please go to https://www.eiseverywhere.com/sosgolf19. Next week will bring an end to January, but we know the work you are called to do continues. We remain in prayer that this year will be a year filled with God’s abundant grace and mercy as He continues to move in and through you and your congregations. Be encouraged as you stay the course in your commitment to do the L.I.F.E. work of the district. The Baltimore-Washington Conference of The United Methodist Church has a new CJAM website that has been created for congregations to become more aware and resourced in this vital area. You are invited to go to, http://www.bwcumc.org/ministries/advocacy-action/criminal-justice-and-mercy-ministries/ check out the resources and take the questionnaire so that we can better connect with you in this area. To go directly to the survey, please visit http://www.bwcumc.org/ministries/advocacy-action/criminal-justice-and-mercy-ministries-questionnaire/. January 31st: Last day to sign up for United to Love: Advocacy and Action; We would like your voice at the table. The Baltimore-Washington Conference has six active teams to mobilize across our connection, and they are: Creation Care (Climate/Eco-Justice), Gender Equality, Gun Violence Prevention, Immigration Rights, Racial Justice, and Wealth Equity. If you are called to serve in one/more of these areas, if this is your passion and/or your faith community is leading in one or more of these areas, we would like to hear from you. Please go to http://www.bwcumc.org/ministries/advocacy-action/ to sign-up so that we can connect with you. February 8th-10th: ROCK Youth Retreat; Registration prices increased on January 1st. Click here to register. February 9th: District Pizza Party at ROCK Retreat; The party will take place at the Carousel Hotel from 12:30- 2 pm for our ROCK participants. March 2nd: United to Love: A Way Forward; 9 am – 12 pm The Conference Mission Center’s Live Streaming of Prayer and Information Sharing following the Special Session of General Conference. Grace UMC and John Wesley UMC had offered to serve as host sites. We are hoping to add a 3rd site and will provide more details in the coming weeks. March 16th: Outward Mindset Training Workshop. After the training session on December 13th of last year, we received several requests for us to extend another invitation to Rev. Brian Brown to offer a more in-depth session. This session will use the Outward Mindset: Seeing beyond Ourselves as its foundation. A registration link will be made available in the upcoming week. Please note that the event registration will not require registrants to have an Arena account. We ask that you encourage your laity to attend as this session will be open to all clergy and laity. As we embark on the new journey that 2019 brings, we are anticipating that God is up to something good. We pray that God will continue to do a marvelous work in you and through you and the congregations and communities you serve. We are especially excited to see the work that is beginning to take place as you begin to cement the cluster model via joint cluster worship and other activities. We pray that this clustering bears much fruit that blesses those around you. The EZRA System is open for review and preparation for the submission of your 2018 Statistical Report. A separate detailed email was sent regarding EZRA along with informational materials. If you did not receive the email, please contact the district office via email at . You can also access the informational material that was attached by clicking the following link: https://tinyurl.com/2018statsinfo. Additionally, information can be found on the BWC website: http://www.bwcumc.org/administration/finance/statistical-reports/ If the designated person responsible for submission of the report has not logged into the system, please motivate them to do so to make certain that there are no issues. I encourage you to begin to input the data no later than January 11th. This will ensure that the submission deadline can still be met even if a problem arises. January 3rd - March 7th: BWC Scholarship application submission window. The scholarships are open to qualified students currently attending college, as well as high school seniors who plan to attend college in the fall of 2019. A variety of scholarships are offered to fit the diverse needs of our students. To be considered for a scholarship, students must complete the full online application which includes uploading their current transcripts. In addition, the student must provide contact information for their pastor and one additional church reference. The pastor and reference will be contacted and asked to submit information on the student’s participation in the local church. The entire process will be done online for ease of the student, pastor, and reference. For details about the individual scholarships or to apply for a scholarship, please visit http://www.bwcumc.org/administration/local-church-resources/scholarships/. January 7th: Last day to submit 2019 Pastor Compensation and Benefits corrections to the Benefits Office. Corrections or changes to salary submitted to the Benefits Office after January 10 will not take effect until the February billing. January 10th: Young People’s Ministry Strategic Plan Update; Join the BWC and members from Ministry Architects on Thursday, January 10 at 7pm for an update on the strategic plan for Young People’s Ministry in the BWC. After a year of focus groups, surveys, trainings, and more conversations, a three-year, preliminary strategic plan has been outlined and is ready for review and feedback prior to bringing it before Annual Conference session on June 1. We invite conference leaders, and everyone involved in areas of young people’s ministry (from camping to youth to campus ministry) to learn more about the process and the plan moving forward. Light refreshments will be provided. Register here. January 29th- 31st: Bishop’s Sexual Ethics and Boundary Training Sessions. (Arnolia UMC will host the January 30th session.) To register for one of the sessions, please click here. Attendance is required for all clergy and laity assigned to pastoral roles (elders, deacons, licensed pastors, clergy from other denominations, extension ministers). Lay staff from local churches or other conference leaders are encouraged to attend. You can attend the session most convenient for you. Requests for excused absence are to be made in writing to Bishop Easterling with a courtesy copy to the DS by January 21. January 31st: Last day to sign up for United to Love: Advocacy and Action. We would like your voice at the table. The Baltimore-Washington Conference has six active teams to mobilize across our connection, and they are: Creation Care (Climate/Eco-Justice), Gender Equality, Gun Violence Prevention, Immigration Rights, Racial Justice, and Wealth Equity. If you are called to serve in one/more of these areas, if this is your passion and/or your faith community is leading in one or more of these areas, we would like to hear from you. Please go to http://www.bwcumc.org/ministries/advocacy-action/ to sign-up so that we can connect with you. February 8th-10th: ROCK Youth Retreat; Registration prices increase on January 1st. Click here to register. The Laity Fix is an inclusive approach to church growth. We will examine the challenges and opportunities within today’s faith communities for leaders. There are many questions that congregations face today, and leadership is just one of them. All leaders across faith communities can increase their personal leadership skills by identifying what they are and learning how to use them appropriately. We recognize that every congregation is different, every leader leads differently, and recognizing this is critical. This workshop is designed to: Explore the value of the congregational analysis; Offer strategies for sustained leadership development; and Identify growth opportunities through mission and ministry initiatives. The world has changed! What do we do now? Click here to register. February 20th: Bishop’s Pre-Lenten Day Apart; location TBD (A registration link will be provided once available). March 2nd: The Conference Mission Center’s Live Streaming of Prayer and Information Sharing following the Special Session of General Conference. We are looking for churches in the district who can serve as satellite streaming locations. Your church must have available parking and the necessary technology and audiovisual equipment to host. If your church would like to serve in this capacity, please contact the district office via email: .